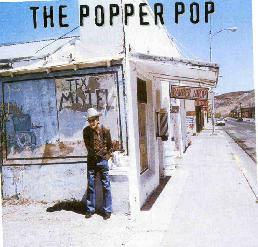 The Popper Pop - "Texas Motel"
This is an Italian 3 piece band that plays a sort of punky melodic pop music with some strange twists at times. The singer at times really reminds me of the singer in Motorpsycho and clearly the band have been influenced by this style of melodic pop rock with energy. The band seem to cite as their main influences the Who, the Kinks, the Beatles and Neil Young, but the music is much more modern and not retro sounding to my ears. Not all the songs are high energy. They do mix it up quite a bit and have moody songs, that some have a slight rockabilly twang to them. This might be for you. I enjoyed listening to it but it won't get a lot of play in my home. For more information you can visit the Under My Bed Records web site at: http://www.undermybed.net.